Tattoo designs are in fashion and are ideal for posters, t shirts and textiles. 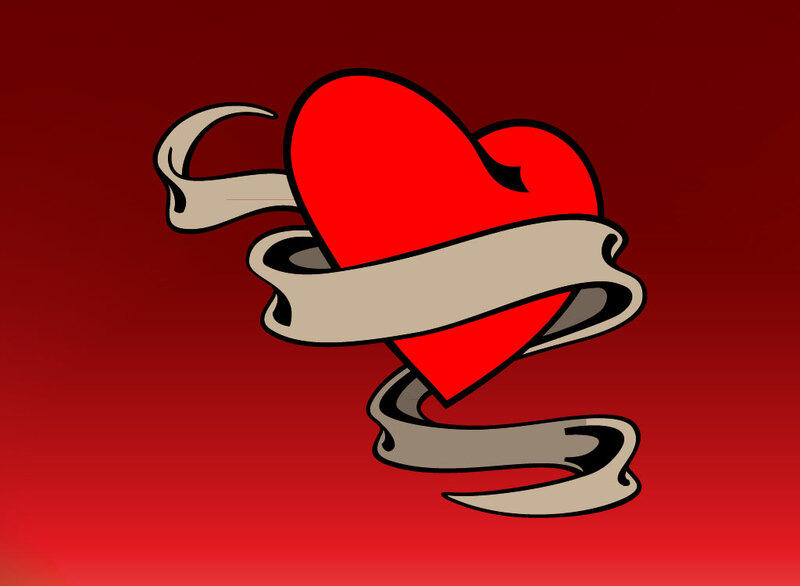 This is a classic tattoo design featuring a love heart and banner with room for copy. Just add your custom text and you have a complete design. Zip file comes with AI, PDF and JPEG files. Tags: Drawing, Heart, Holidays, Tattoo, Traditional, Valentine'S Day.